Established in 1978. We have been providing jewelry stores, jewelers, and designers with jewelry components for over 40 years. Here at Atlantic Gems, our number one priority is you, the client. Our goal is to give you prompt, courteous service, and supply you with quality merchandise. 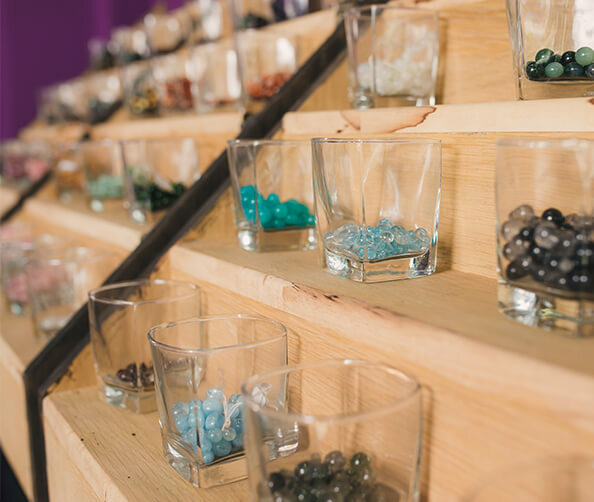 To this end, we have established relationships with several of the top rated factories located in the United States and Overseas to acquire an exceptional selection of beads, findings, diamonds, gold and gemstones. Atlantic Gems is a multi-generational family-owned business. Our employees have been with us for many years and possess a lifetime of experience in the jewelry industry. We have been in Silver Spring, Maryland for over 40 years. Atlantic Gems' reputation is one of the highest in the industry. We are recognized members of various associations including Jewelers of America, Jewelers Board of Trade and The Better Business Bureau.